Minister of Transport, Maritime Affairs and Communication Mr. Ahmet Arslan, Mayor of Antalya Mr. Münir Kaloğlu, Qatar’s Deputy Minister of Interior Major General Al-Khulaifi, Commander of Qatar’s Coast Guard Brigadier General Al-Mannai, Ares Shipyard’s Chairman Mr. Kerim Kalafatoğlu, Deputy Undersecretary for Defense Industries Mr. Serdar Demirel and many invitees attended the handover ceremony taking place at Ares Shipyard’s premises at the Antalya Free Zone. Accompanied by the Qatar’s state representatives, the Minister of Transport, Maritime Affairs and Communication Mr. Ahmet Arslan and the accompanying delegation examined both the off-shore patrol vessel and the fast patrol boat before the ceremony. Following the examinations, Minister Mr. Arslan and the accompanying delegation headed to the location of the handover ceremony. Taking the floor for the opening remarks and addressing participants, Deputy General Manager for Business Development at Ares Shipyard Mr. Utku Alanç mentioned that Ares Shipyard commenced its operations in 2006 with manufacturing small pleasure crafts and leisure boats, and with the experiences they gained in aluminum builds, steel and composite hull ships they specialized in building military, paramilitary and workboats. Underlining that with this decision of strategic change they adopted, they aimed to become an international defense industry company owing to the their human resources, organization management, integrated logistical support, quality management and developed production technologies, Mr. Alanç added, “The investments we made produced results within a short time. Mostly exports, we accomplished sales of over 100 boats to Naval Forces Commands, Coast Guard Commands, Maritime Police, Port Security and Customs Enforcement Directorates of various countries. Throughout this period, being accredited by the Ministry of Defense as a NATO Reference Supplier and National Secret Level Security Clearance, military vessel production permit and ISO-9001 14001 and 18001 quality management system certificates, our Shipyard continued to support the Turkish Armed Forces and Coast Guard Commands in national military projects as well. In line with this strategy, our number of staff increased each day and reached 300. Moreover, we launched internal design and R&D departments at our Shipyard. Presently, we are conducting our services in Antalya at 4 air-conditioned production facilities with approximately 22.000m² of indoor area, metal composite and carpentry workshops, paint drying ovens, training classrooms and modern office areas. We aim to increase our indoor manufacturing area to 30.000m² with the infrastructure investments planned for 2018”. Commander of Qatar’s Coast Guard Brigadier General Al-Mannai stated that this program was one of the successful strategic partnerships of the alliance between Turkey and Qatar and stated that the project, as a result of the strategic cooperation between the two countries, contained military boats with very superior technology and competitive prices. Al-Mannai thanked those who contributed to the project, representatives of the Ares Shipyard being in the first place and the governments and defense ministries of the two countries. Minister of Transport, Maritime Affairs and Communication Mr. Ahmet Arslan stated that manufacturing multiple vessels in the same series was possible, yet building vessels in various categories simultaneously and reaching the committed figures were a great success and congratulated Ares Shipyard. As part of the project, five “Ares 75 Hercules” fast patrol boats, which are the smallest members of the Hercules series Patrol Crafts, were built and the delivery of these boats was launched in 2016. All the boats were commissioned by the Qatari Coast Guard Command in the beginning of 2017. With 40 sea miles of maximum speed capacity and 360 sea miles of endurance “Ares 75 Hercules” patrol craft has electro optical sensors against asymmetrical threats and 12.7 mm STAMP Remote Controlled Stabilized Weapon System (RCWS) manufactured by Aselsan. Ten 34m length “Ares 110 Hercules” Fast Patrol Vessels, selected as the world’s best patrol vessel in 2016, were planned to be built and during the period from the beginning of 2016 until the end of 2017, total of 7 “Ares 110 Hercules” were delivered to the Qatar’s Coast Guard Command. 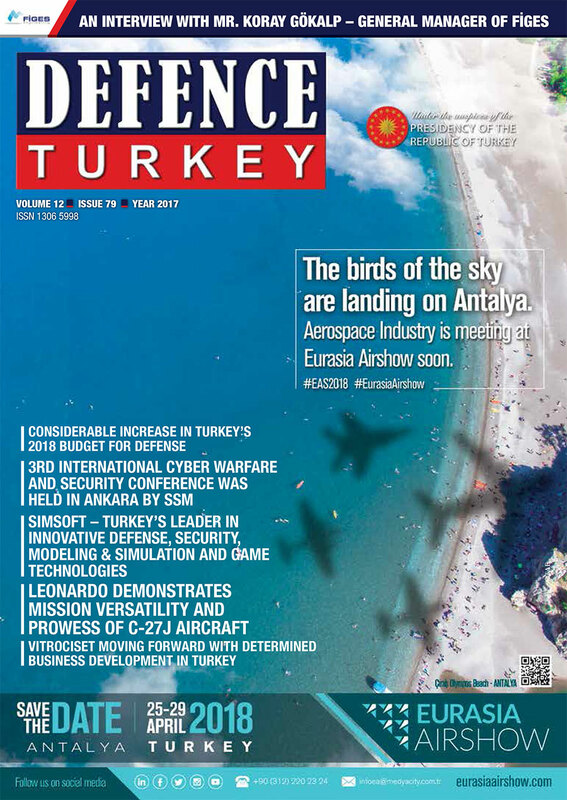 Over “Ares 110 Hercules” with 32 sea miles of maximum speed and 800 sea miles of endurance, there are electro optical sensors to be used against conventional and asymmetrical threats as well as Aselsan production 30 mm “Muhafız” Remote Controlled Stabilized Artillery and two 12.7mm STAMP RCWS. Moreover, on “Ares 110 Hercules” a 7.5 m length Ares Harpoon Fast Intervention Boat remains for the deployment of SAT teams and fast intervention purposes. “Ares 150 Hercules” is the largest member of the Hercules series multi-role patrol craft project and has the greatest composite hull ever built in Turkey. It is at the same time the fastest off-shore patrol vessel. “Ares 150 Hercules” has 48m length, 37 sea miles of maximum speed and 1600 sea miles of endurance. Against the conventional and asymmetrical threats, electro optical systems and Aselsan production 30mm “Muhafız” Remote Controlled Stabilized Artillery system and two 12.7 mm STAMP RCWS are mounted over the vessel. Similar to the 34m length configuration, this configuration has two 7.5m Ares 24 Harpoon Fast Intervention Boats for the deployment of SAT teams and immediate intervention. “Ares 150 Hercules” owns operational capabilities up to 6 sea states and stands out as one of the most superior platforms in its class with the speed values 20% over the criteria stipulated by the contract and its superior rotating capability of a radius of 74m and maneuver capabilities. In accordance with the requirements of the Qatar’s Ministry of Interior, the contract of which was signed at the DIMDEX 2014 fair held in Qatar in March 2014 included the procurement of 17 Coast Guard Boats composed of five 24m length, ten 34m length and two 48m length boats and the training of operators and maintenance staff on the vessels. Within the scope of the contract, the production, installation, test and acceptance processes of all vessels and their delivery to the Ministry of Interior of Qatar were planned to be completed within 56 months.